Crafty presents from my Mom from my family's annual gift exchange, Secret Santa style. We watch them every winter. I love getting holiday cards, photos, and newsletters. 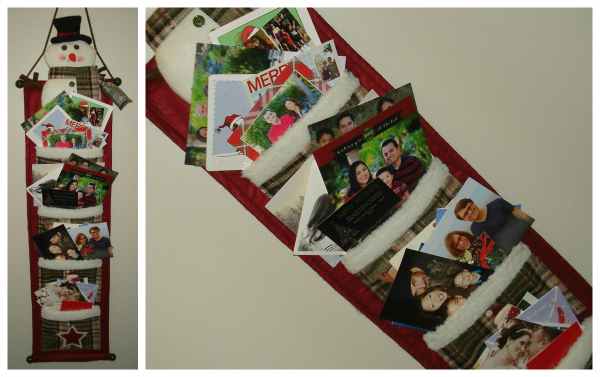 Our holiday card holder was overflowing this year! A surprise from my bosses. 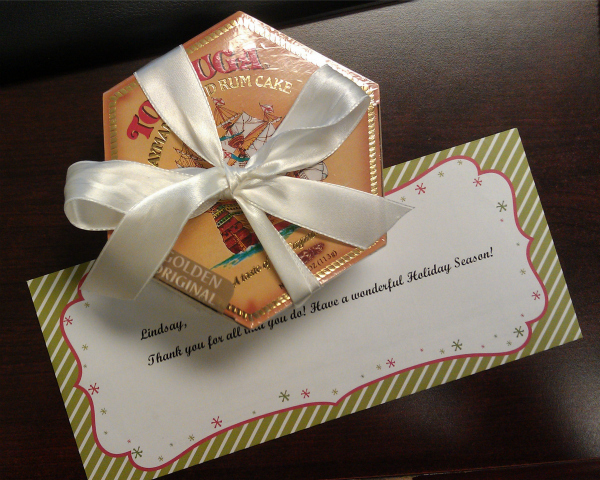 Cayman Island rum cake and a holiday bonus! We were invited to our neighbor's family gathering. Oh what sweet holiday! Glad You got to do all these wonderful things!!! Looks like a great holiday. 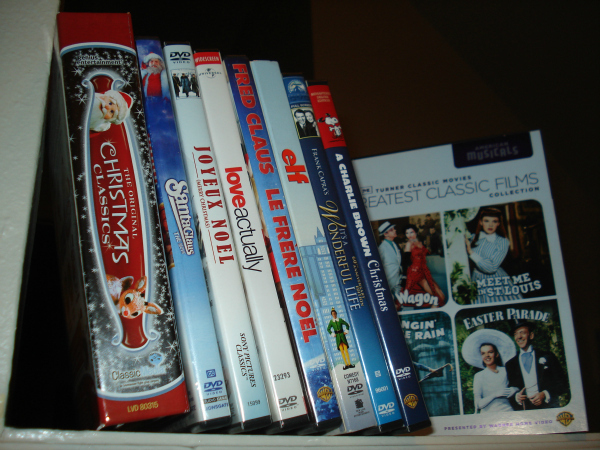 I especially love all the Christmas movies! Hope you have a wonderful new year, Lindsay!!!! Have a beautiful weekend my dear! gah! 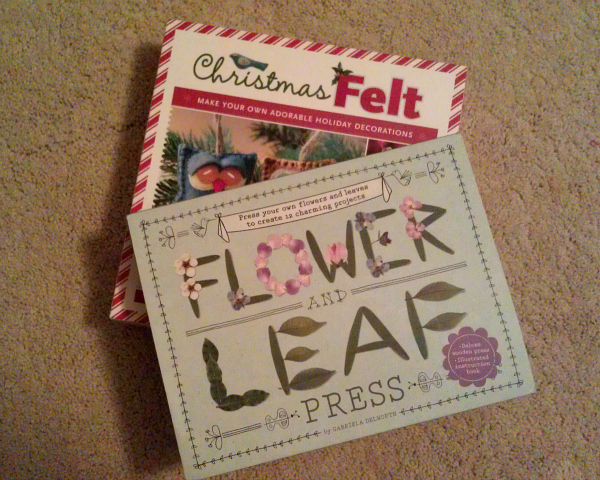 so many amazing christmas classics! it makes me want to watch aaaall of them. Merry Christmas Lindsay! I love your holiday movie collection. I need to get some of those myself. And it's really nice to know the people you work for appreciate you. Hope your cats enjoyed the holidays as well. 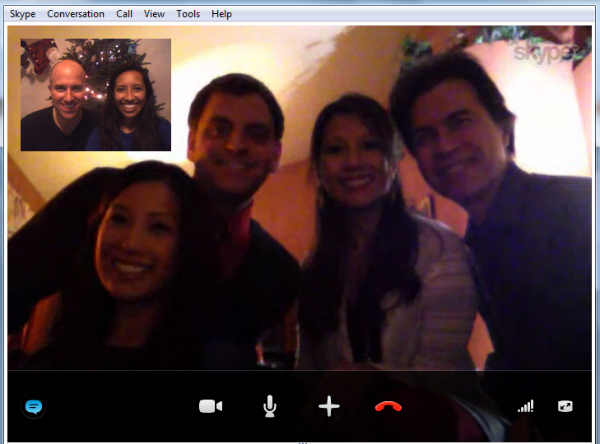 Yes thank God for skype! I just moved to Australia, and there is no better way to stay in touch with friends and family overseas. And Meet Me in St. Louis is ABSOLUTELY a Christmas movie! Your family has some wonderful traditions, Lindsay! Love that you guys do a secret santa swap. And your card holder is absolutely darling.